Cristec’s innovative battery charging & monitoring equipment will be added to Smartsat’s diverse product range available to the RV/Caravan market, for work and leisure applications. 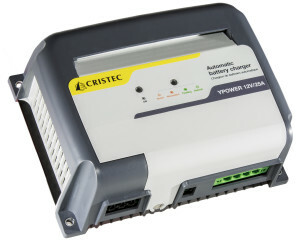 French-made Cristec has recently released the 5th Generation of its advanced YPower HF chargers. The product boasts silent operation and compatibility with all battery types, requiring only a screwdriver for installation, as all necessary connections are supplied. Users benefit from extended battery life and unmatched temperature performance, which is perhaps why over 100,000 HF battery chargers have been installed worldwide. For more information, contact your nearest Smartsat branch.